Groups both large and small will find one of our 2 - 4 bedroom housekeeping cabins to suit their needs. 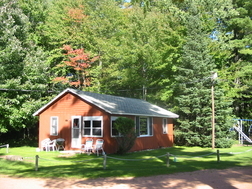 All the cabins are nicely spread apart from each other and all have lots of green space around them. 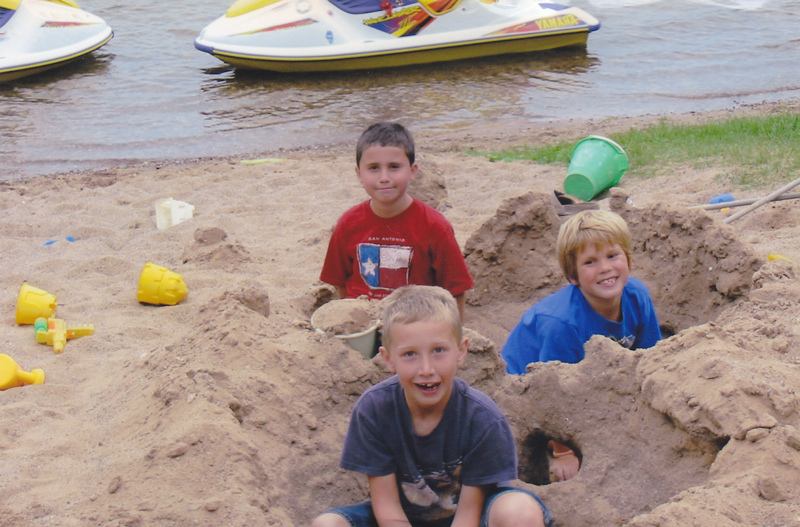 We take pride in the cleanliness of our cabins and grounds and are continually making improvements and upgrades to the facilities. We are state health certified for your safety and are on-site owners, there for all your needs. 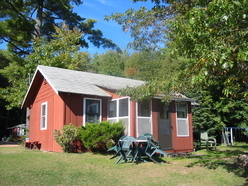 The cabins are intended as weekly rentals. 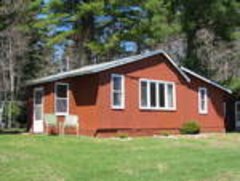 In summer the cabins are rented Sat. to Sat. Check in time on Sat. is 2:00 PM or later and check out time is by 8:00 AM the following Sat. (strictly enforced in peak season weeks). 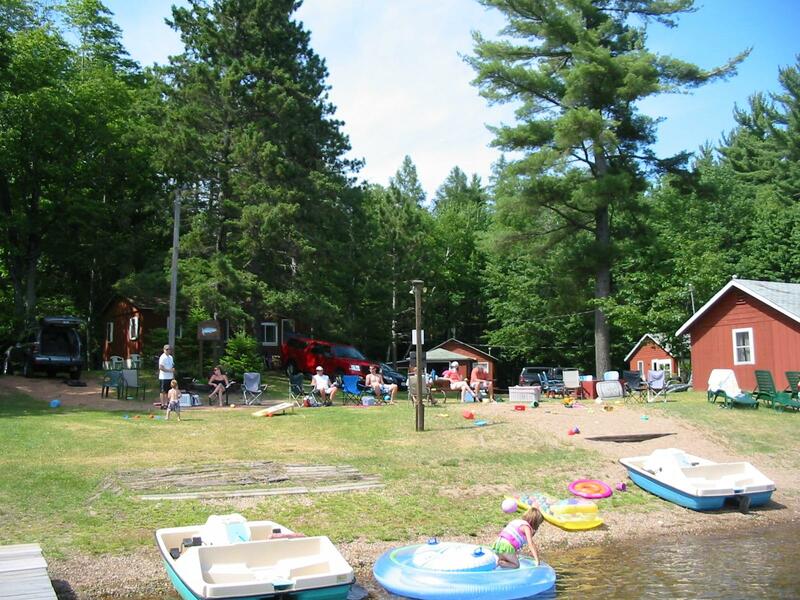 Shorter stays may be possible during off peak season (May - early June & late Aug. - Oct.) when we can rent the cabins with a 3 night minimum stay. 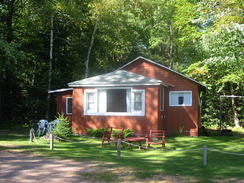 All cabins have picture windows with views of beautiful Little Spider Lake. 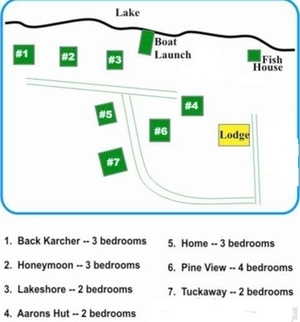 They are fully equipped with modern furnishings, stove, refrigerator, microwave, coffee makers, dishes, pots & pans, gas heaters, and televisions. 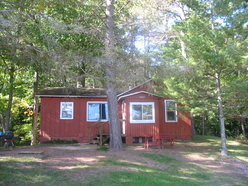 Each cabin has its own unique northwoods charm and all but one have pine tongue and grove interiors. At each cabin there are charcoal grills and outdoor tables & chairs. We have plenty of dock space for your boat or one from our well maintained boats, motors and pontoon boat rentals. A limited number of which are available and require advance notice. We offer free use of paddle boats, and a canoe. Bed linens (sheets) are furnished @ $6.00/per bed or you can feel free to bring your own. We provide pillows and blankets at no charge. No towels or paper products are provided. 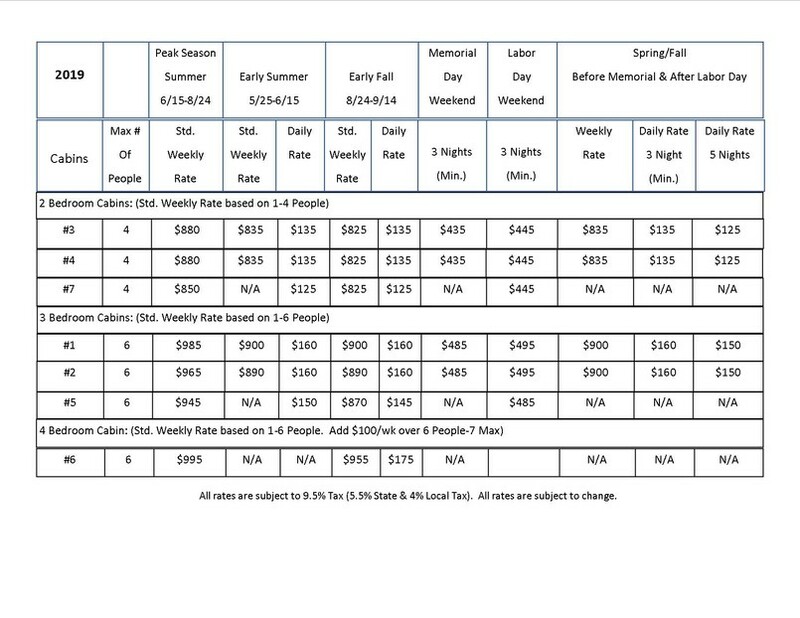 A deposit of $250 per week or 50% on less than weekly stays is required to reserve the cabin. Reservations may be cancelled without notice if deposits are not received within 10 days of booking a new reservation. The balance is due upon arrival cash or check (Sorry No Credit Cards). Check in time is 2:00 PM or later and Check out time is 8:00 or earlier.